Finding the right insurance can be tough. SASid, and REALTORS® Insurance Marketplace, are here to help you navigate the complex and often confusing world of PPOs, HMOs, HSAs, supplement plans, dental plans and more. Nothing gives us more satisfaction than helping you. SASid is a proud partner in the NATIONAL ASSOCIATION OF REALTORS®’ REALTOR Benefits® Program. 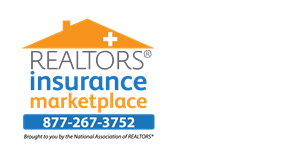 We’re pleased to say that we’ve been a trusted partner since 2009, creating and administering REALTORS® Insurance Marketplace and offering multiple exclusive products to NAR members. Our name is an acronym for “Smart and Simple insurance development” and we work hard to live up to it every day. We are nationally licensed, and our sincere mission is to help people access and understand insurance. Contact one of our product specialists below to answer your questions, and thank you for your interest in the Marketplace! We want you to have what you need, for you and for your family. From Dental and Vision coverage to Medicare Supplemental and Accident Protection, the Marketplace has options that make sense! The REALTOR Benefits® Program is the exclusive member benefits program of THE NATIONAL ASSOCIATION OF REALTORS®. Program partners are carefully selected, so you can be assured they understand the unique needs of the real estate industry and are committed to your success. For more information visit NAR’s Member Benefits page. The National Association of Realtors® (NAR), “The Voice for Real Estate,” is America’s largest trade association, representing over 1 million Realtors® involved in all aspects of the residential and commercial real estate industries.